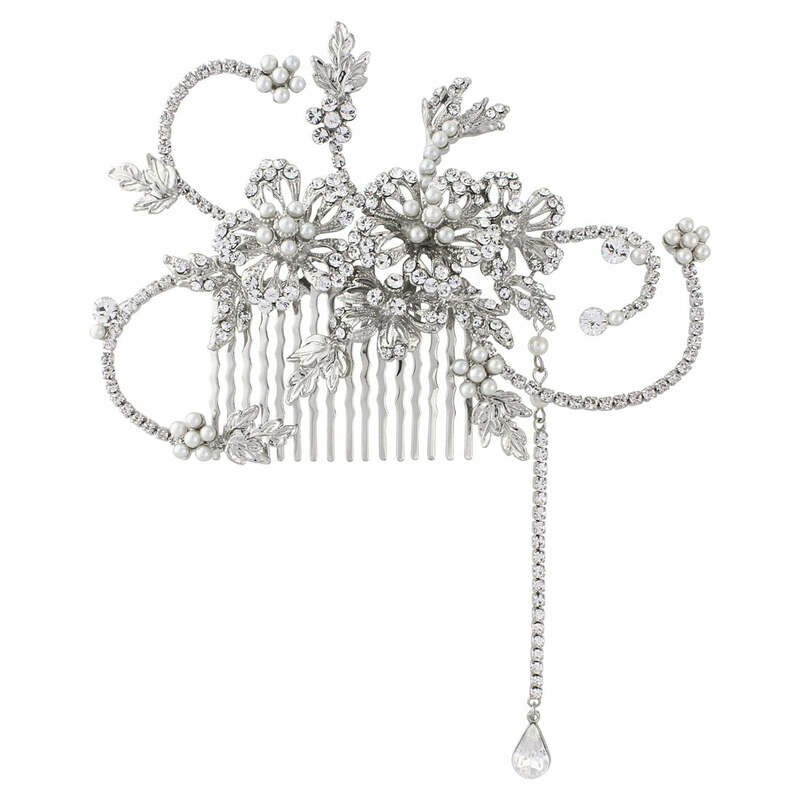 Achieve classic Gatsby glamour with this simply exquisite bejewelled hair comb. Twirls & swirls of delicate vintage charm, our Twenties Heiress Hair Comb is a celebration of 1920s beauty. Shimmering Austrian crystals set in silver tone, accentuated with classic and lustrous ivory faux pearls, create a whimsical hair accessory worthy of heirloom status. With a bejewelled chain sparkling in the light, place horizontally at the side or back of the head or vertically near the template for true Gatsby glamour. The perfect bridal hair comb to complete your drop-waist '20s gown or to add a touch of bygone elegance to a classic wedding dress, our Twenties Heiress Hair Comb looks sensational coordinated with a bejewelled cuff and drop earrings for brides who adore authentic Gatsby style. If you adore delicate headpieces that make a dramatic statement, this oh so pretty comb is sure to adorn with Downton Abbey grace.